Avery 8 1/2 X 11 Laser Label 100/BX (5165) : Disk-O-Tape, Inc. 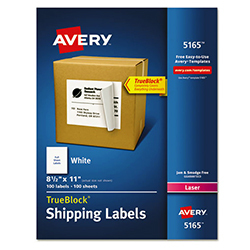 Shipping and mailing is quick and easy with the White Shipping Labels featuring TrueBlock® Technology. These full-sheet labels completely block out any writing underneath so your boxes and envelopes have a neat and professional appearance every time. They're also great for personalizing to use on gifts, homemade goodies, party favors and more. Easily customize the labels using our free designs and templates at Avery Design & Print Online. Add your logo, graphics or other images to create a one-of-a-kind package. Then print and ship. 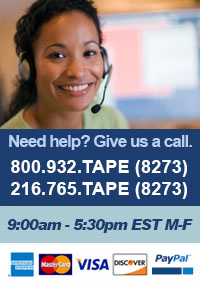 With these versatile labels all your shipping and mailing is a breeze.